Naturally, the first thing you need to determine is how many people will be joining you on your group getaway. Fortunately, Large Cabin Rentals offers everything from 4 bedroom cabins for smaller groups to massive 16 bedroom cabins that can sleep up to 74 people! If you have any questions about how many guests our cabins can accommodate, don’t hesitate to give our friendly vacation specialists a call. Another important consideration for your group getaway is how much your group is prepared to spend on their cabin rental. The good news is that Large Cabin Rentals offers properties that are affordable for just about any budget! In fact, our group cabins are significantly cheaper than booking separate hotel rooms when you consider the number of guests in your group. Simply take a look at our Savings Calculator to find out how much you can save by booking a group cabin with us. 3. What Amenities Do You Want? All of our properties feature an incredible selection of amenities to make your group getaway truly special. Our luxurious cabins offer full kitchens with modern appliances, decks with gorgeous mountain views, fireplaces, hot tubs, game rooms, and more. Some of our cabins even feature indoor heated swimming pools and home theater rooms with stereo systems! Simply browse our listings of large group cabins in Pigeon Forge TN and pick the cabin that is right for you. 4. Where is Your Preferred Location? When booking your large group cabin, consider your preferred location. 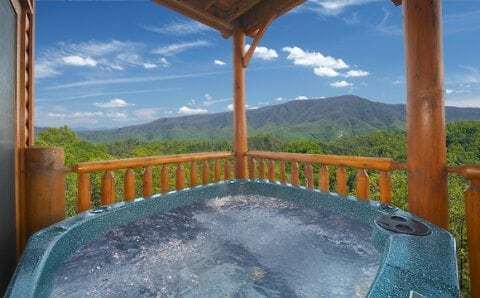 For example, you may want to reserve a cabin in a secluded area for privacy or a cabin that is closer to all of the great attractions in Pigeon Forge. In addition, some of our cabins are accessible by a tour bus or church bus for the convenience of your group trip. 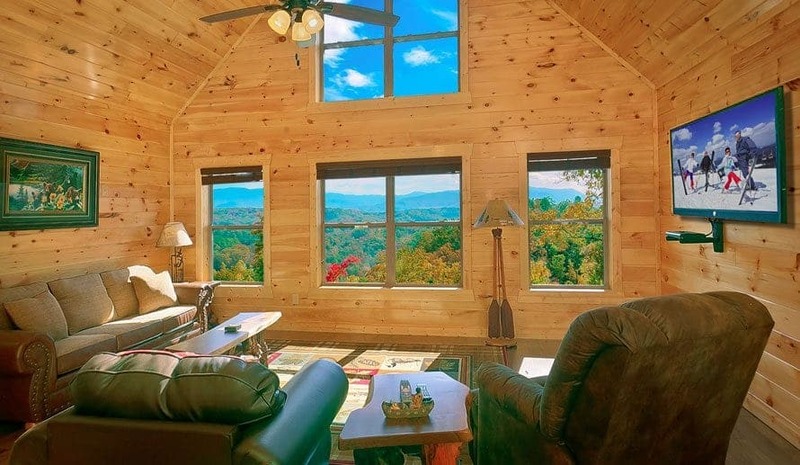 Although all of our cabins are situated in a peaceful environment with stunning views of the Great Smoky Mountains, you can check out the detailed descriptions of each cabin to find those that are located in the specific area that you desire. 5. Do You Want a Pet Friendly Cabin? At Large Cabin Rentals, we understand that some of the members of your group might enjoy bringing along their dog to the cabin. Therefore, we offer a selection of pet friendly cabins where we invite you to bring small dogs to stay with you on your getaway! For the comfort of the other guests in your group, we recommend that you discuss this option with the group members prior to your trip and find out if there are any pet allergies or other possible concerns. Start planning your vacation at one of our large group cabins in Pigeon Forge TN today by requesting a quote!